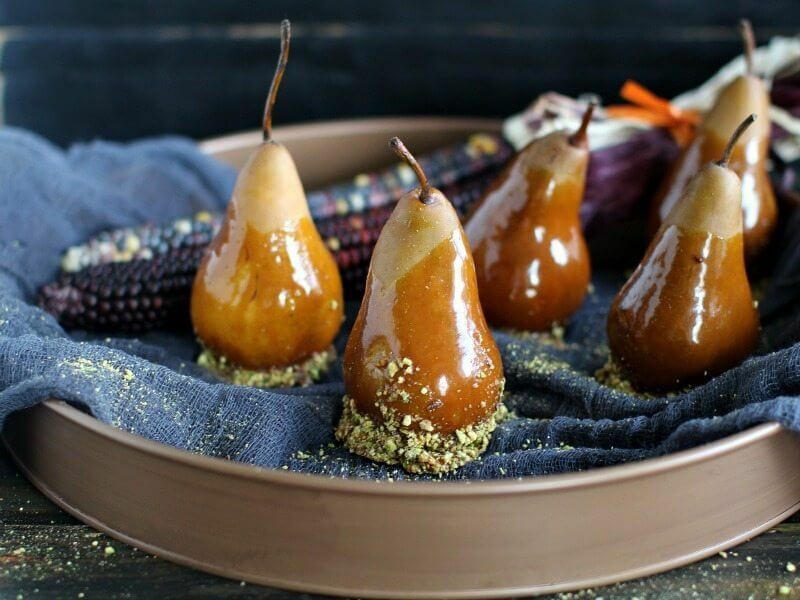 Caramel Dipped Bosc Pears are healthy and indulgent, especially when rolled in some crushed pistachios. Fall themed desserts could be fun and easy to make. 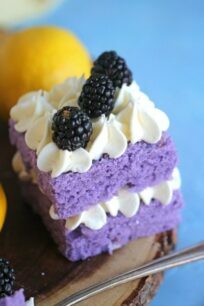 We have a variety of them on our blog, among our popular once are Pumpkin Cheesecake Bars, Pumpkin Poke Cake and Sweet Potato Casserole. 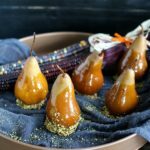 With fall season in full beauty, I am craving more and more fall themed food, and these Caramel Dipped Bosc Pears are no exception. While caramel apples seem to be the “go to” fruit when it comes to caramel dipping, I encourage you to try Caramel Dipped Bosc Pears as they are truly delicious. 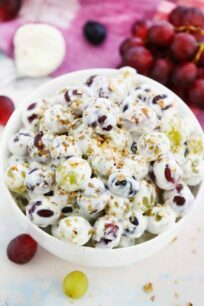 This is such a sweet and healthy snack, that you can indulge into even when a midnight cravings strikes. They are crisp, crunchy, sweet and juicy. Also, the pears flavor pairs perfectly with the caramel sauce. Also, they are so easy and fun to make, that this would be such a fun project to do with kids. Bonus points to the fact that you won’t feel guilty by feeding them some healthy dessert! After all, they are having fruit in this case! 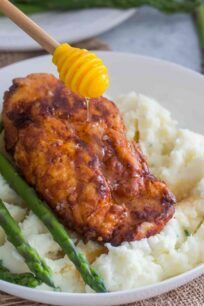 I made some of my famous caramel sauce, that literally takes only 10 minutes to whip together. After the sauce has cooled slightly, I dipped the bosc pears into it. If you prefer your pears plain, go for it. Because the caramel is more than enough to turn the pears into a real treat. But if you are looking for something extra, roll the Caramel Dipped Bosc Pears into some crushed nuts or sprinkles for some extra texture and fun. First, they look pretty and are perfect fall themed dessert to have on your kitchen table. 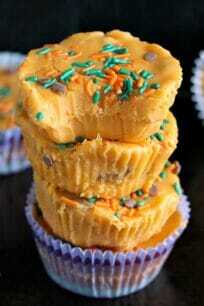 Also, they are healthier alternative to wheat based desserts. Can be fun project to do with kids. In addition, they are easily and quickly prepared. 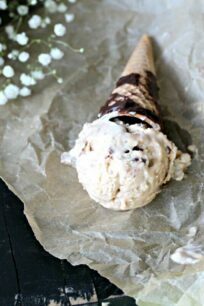 Similarly, can be dipped with chocolate for alternative taste. What are Bosc Pears used for? Bosc pears can be used in variety of baking recipes. Since, they have a more firm, dense flesh than other pear varieties, so they are ideal for use in baking, broiling or poaching. In addition, they retain their shape and texture better than other pears, and their flavor is less likely to be overwhelmed by the use of strong spices like cinnamon, clove or nutmeg. Also, they are perfect to be enjoyed as a fruit snack, since they are quite healthy and delicious. 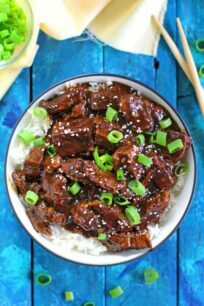 Can I substitute apples for pears? Absolutely! 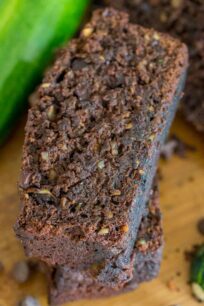 Apples can be great alternative to many fruit recipes including this one. Follow the same steps to get a delicious caramel dipped apples. 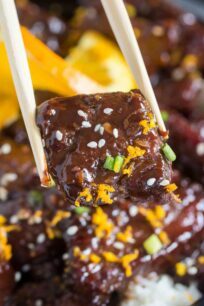 In a medium sauce pan over medium heat melt sugar while stirring constantly until a brownish liquid forms. When sugar has completely melted, add the butter and stir until well combined. Carefully while still stirring add the heavy cream, once all the cream has been added let the mixture boil without stirring for one minute. Remove from heat, stir in salt and let it cool a little. Dip bosc pears into warm caramel sauce, scraping off any excess from the bottom with a spoon. While the coating is still warm, coat with preferred garnishes: nuts, chopped chocolate or sprinkles. Refrigerate right away for the garnishes and coating to stick to the pears. I used crushed pistachios and only dipped the bottoms of the pears, it’s a personal preference. Hello, Katalina. 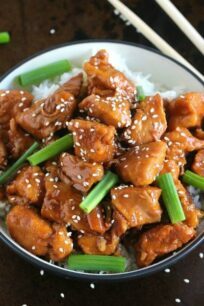 Glad to hear that your recipes turned out magnificent. 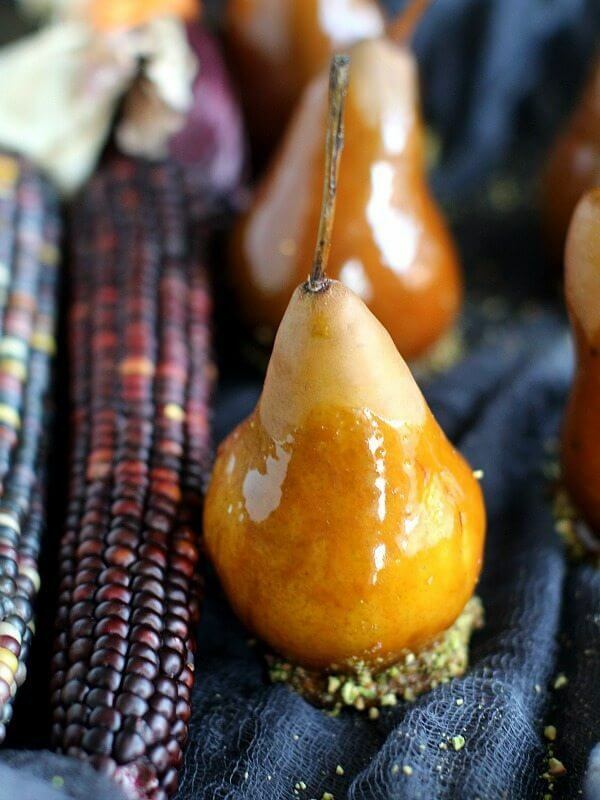 And this caramel dipped bosc pears look so stunning and delicious. Hello, Katalina. Glad to hear that your recipes turned out magnificent. 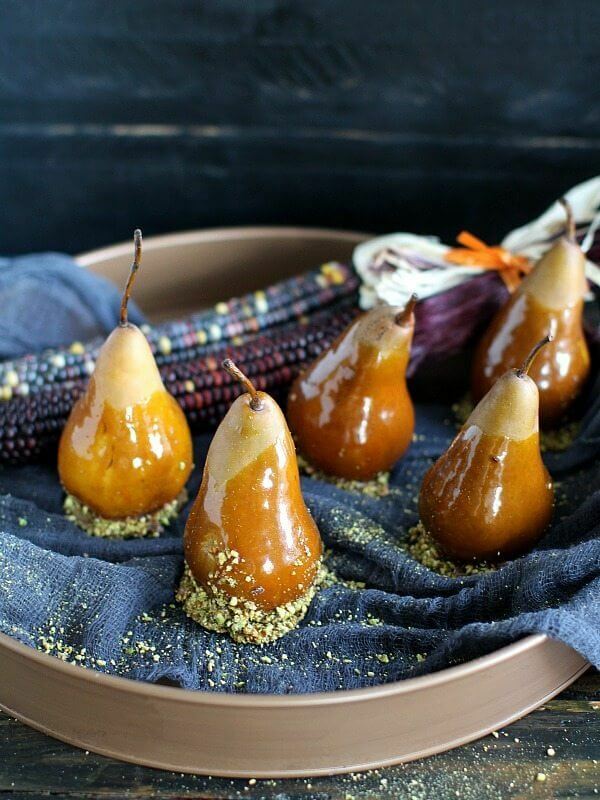 And these caramel dipped bosc pears look so stunning and delicious. Katalina, these look amazing! I’ve never seen anything quite like this. I think I could devour a few of these gorgeous pears! I’ve never tried dipping fruit in caramel but have always wanted to try apples! Love your pears and they look so pretty they could be a centerpiece! Caramel dipped apples are great too, the tart apple flavor pairs so well with the sweet caramel. I wanted to change things a bit, that why I made pears, and this treat felt even more like “fall” 🙂 the colors, the flavors, everything just worked together! I love caramel dipped fruit of any kind! These pears are so festive! Me too, caramel and fruit is so perfect together! I cannot wait to try them!! Such beautiful photos as well!